A swimming pool is a must for the modern holiday park for its pulling power in attracting and retaining visitors year on year. Pic: Craig Tara Holiday Park. Swimming pool operators are facing increasing pressure to demonstrate energy efficiency, as well as reining in the cost of upkeep and maintenance to see the maximum return on investment. A greater awareness of environmental issues, combined with the allure of the cost savings that can be made over time, is leading to more operators opting for ‘greener’ products and methods in terms of pool management. Although more efficient methods are generally more expensive to install, the cost saving benefits are huge. It’s a case of speculating to accumulate. The refurbishment of the swimming pool at Crows Nest Caravan Park in Filey near Scarborough has not only improved the facility for guests, but has also significantly driven down running costs for the park owners. The 12m x 5m pool underwent a complete refurbishment at the beginning of the year, which included upgrading the heat recovery system. This little circuit of exciting water play is sure to create a happy splashtastic holiday for all those that visit Trecco Bay Holiday Park. 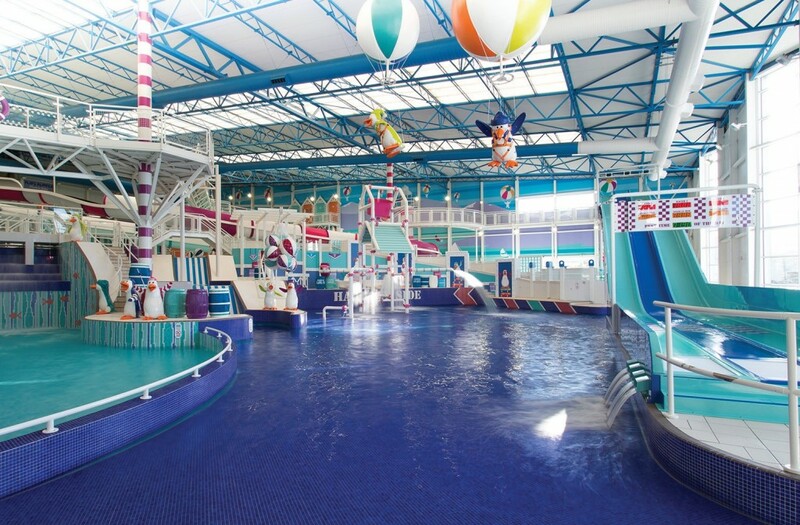 Waterplay Solutions Ltd (WSL) is pleased to announce the waterplay area at Splashland, Trecco Bay Holiday Park in Porthcawl is now installed and open for visitors to enjoy. 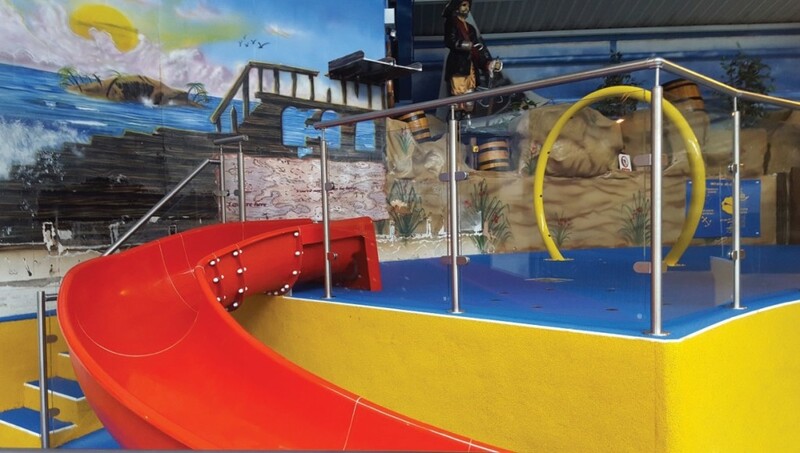 In exchange of a shallow pool area, Trecco Bay Holiday Park now has a number of features installed on two levels, creating a journey that is guaranteed to thrill waterplayers of all ages. Beginning with steps up to the top deck there is one of Waterplay’s Water O’s, a spray hoop with nine spray nozzles providing a good soaking to all those that run through and a variety of ground sprays leading to a waterslide to access the deck below. Having landed at the lower deck, waterplayers will be greeted with water jets from the ground and a shower curtain from Waterplay’s Crow Nest, which also features a tipping bucket that will intermittently fill with two gallons of water before emptying its contents on all below. WSL is the UK dealer for Waterplay Solution Corp, providing a full turnkey solution in the design and build of aquatic recreation. The work was carried out by Ryedale Swimming Pools of York, who have maintained the pool at the park for almost 25 years. David Maltby of Ryedale Swimming Pools explains: “The previous heat recovery system had come to the end of its life and needed to be replaced. Having been a Calorex customer for many years, I had no hesitation in recommending a Delta system.” He adds: “The quiet operation and low running costs associated with the unit were particularly welcomed by the park owners.” On advice from the experts at Calorex and Certikin, David specified a Delta 6 unit. These clever machines are designed to control the environment, pool water and air temperature all through one simple PLC controller and with pool water heat recovery as a standard feature throughout the range. Elsewhere in the country, an innovative new heating solution using Bowman heat exchangers linked to a Biomass heating system has helped the KP Club in Yorkshire substantially the reduce running costs of 24 hot tubs on the site. On average, using conventional electric heaters, each hot tub would cost around £500 annually in electricity. However, by using Bowman heat exchangers linked to the main Biomass boiler system, the hot tubs are now heated at no extra cost – saving the KP Club approximately £12,000 a year. The KP Club is a prestigious golf and leisure resort, set in 180 acres of the Yorkshire Wolds. The club recently opened 24 new luxury woodland lodges which offer guests privacy, combined with the facilities of a boutique hotel. Each of the lodges has its own hot tub, supplied by Urban Cedar, who specialise in the design, build and installation of contemporary cedar wood hot tubs. When the KP Club approached Urban Cedar to investigate a greener way of heating the hot tubs, they turned to E J Bowman, manufacturers of thermally efficient swimming pool heat exchangers, for advice. Bowman EC100-5113-2S stainless steel heat exchangers were recommended for the application and samples were sent for Urban Cedar to test at its USA manufacturing facility. The units not only passed, but produced remarkable improvements in heat-up times and thermal efficiency compared to previously used electric heaters. By using Bowman heat exchangers linked to the main Biomass boiler system, the hot tubs at the KP Club are now heated at no extra cost. Back in the UK, Urban Cedar fitted the hot tubs with the Bowman units – a simple process requiring just standard plumbing components. The compact heat exchanger is hidden behind the skin of the hot tub, so is neither visible nor affects the design. Another major benefit of the system is that the electric heaters typically raised the water temperature by just 1-2ºC an hour, taking up to 24 hours to heat a tub from cold. The Bowman heat exchangers raise the water temperature by 12ºC an hour – so the tub reaches temperature in just 2-3 hours, giving the hotel greater flexibility when servicing the tubs between guest changeovers and ensuring the tubs are ready immediately when new guests arrive. 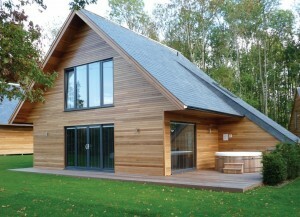 “The KP Club is leading the way by using Bowman heat exchangers linked to a Biomass boiler to heat its hot tubs. This is the first time we have come across this method and it offers huge potential to commercial, leisure and domestic hot tubs users,” Antony Perry, Managing Director of Urban Cedar, explains. “Bowman heat exchangers, used in conjunction with the Biomass boiler, create the opportunity to significantly reduce hot tub heating costs, by using a more energy efficient and sustainable method of heating,” he adds.